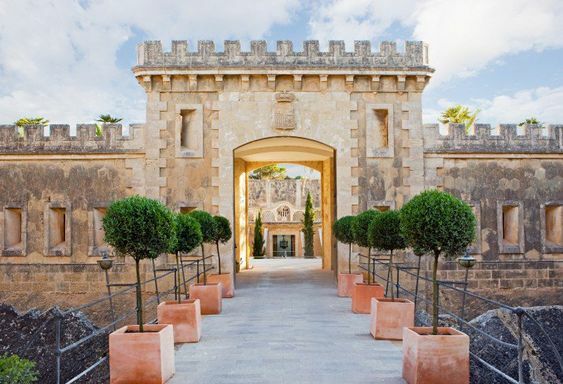 The biggest of the Balearic Islands, Mallorca hosts a clutch of luxury villas, beach boutique hotels and relaxing stays in cosmopolitan Palma, nestled in its hills and along the coast. Finca-style villa Sa Terra Rotja is on a private estate with panoramic views over the ocean and a pebble beach a stone’s skim away. Inside, there are nods to traditional Mallorcan style, with exposed ceiling-beams, light colours on walls, terracotta-tiled floors, but with modern furnishings and decor. Outside, there’s a saltwater pool, tennis court, and a sea-view terrace to lounge on. Stays at this family-friendly villa include full-board dining, and there’s an on-site concierge to map out your holiday entertainment. 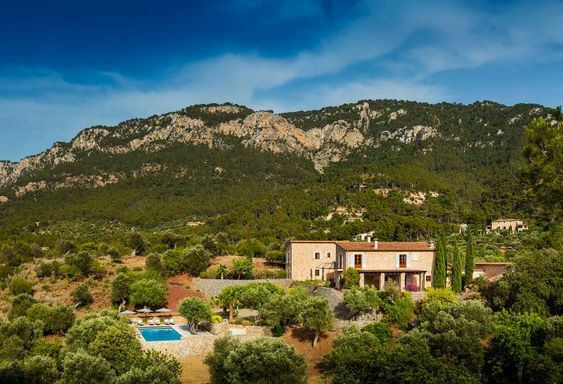 Set in 130 hectares of beautifully maintained gardens, luxury villa Son Serra is an opulent private estate with views of both the Tramuntana and Levante mountain ranges and the sea. Spacious and stylish, the mansion sleeps up to eight guests comfortably in large bedrooms, each with their own sitting area and ensuite bathroom. Outside, an inviting pool overlooks a breath-taking country panorama, and there's a shaded lounging area to the side. The villa's just four kilometres from the stretch of shore at Son Serra de Marina, and it's perfectly pitched for holidays where privacy, peace and quiet are top of the agenda. Make love not war at Cap Rocat’s former military fort, hidden on a cliff in a peaceful pocket of Palma bay. More heritage site than hotel, the fort’s defensive paraphernalia (drawbridge, bunkers, trenches) provide a dramatic setting for pared-down boutique bedrooms, a dazzling infinity pool and two tempting restaurants. Borrow some rackets and balls and try out the clay tennis courts. The hotel provides snorkelling equipment, so you can explore the marine reserve. There’s a stash of mountain bikes for guests to wheel around on (ask staff for suggested routes). Cap Rocat also has a list of individually priced activities and experiences, including golf, sailing, deep-sea fishing, diving, horse riding, pilates, yoga, helicopter or boat charters and guided visits to local street markets, private villas or cultural hotspots. The fortress’ former kitchen is now used for private dining and cookery classes. Have a culinary lesson with chef Victor García; whip up a three-course meal then sit down to enjoy it over wine and coffee (€150 a person, plus tax). Palma is a 15-minute drive away – browse the boutiques for beachwear, have a wave-side lunch and finish off with cocktails in one of the glitzy bars. Son Brull combines urban chic with Mediterranean comfort: it's a place to chill out, to warm up, to be welcomed in style. 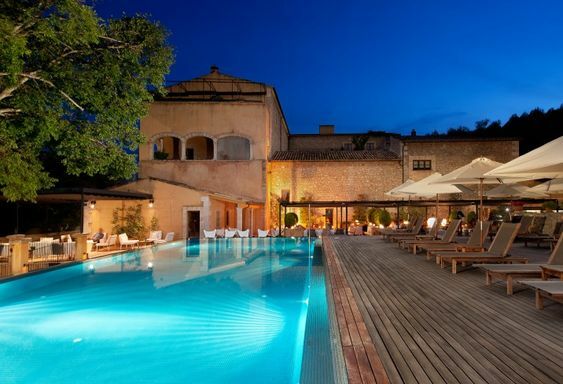 Located near Pollença, at the foothills of the Serra de Tramuntana, the hotel is in an historic building whose restoration has honoured its architectural features while converting it into a modern, design-oriented luxury hotel. Son Brull sits at the bottom of a hill called Puig de Maria: a walk to the top gives you stunning views of the countryside from the ruins of an old monastery. Guests at the hotel get between 15 and 20 per cent off at the local golf course. Before a visit to the beautiful bay of Cala Sant Vicent, which is about a 10-minute car drive away, book sun-loungers at reception. There’s a market in Pollença old town on Sundays. Cala Sant Vicenç offers different beaches (sandy and rocky), Puerto Pollença and Puerto Alcudia offer long sandy beaches. Hit one of the golden-sand beaches along the Mallorcan coastline – Cala Millor and Cala Torta are popular choices. For a more exclusive look at Mallorca’s coastline, board the hotel’s speedboat and sail the shores in style. From headlands to holes-in-one: the hotel is within easy reach of four golfing greens; Canyamel Golf, Pula Golf, Golf de Capdepera and Club de Golf de Son Servera. Alternatively, grab your racket (or hire one from reception) and head to the nearby tennis courts, just 700 metres from the hotel. 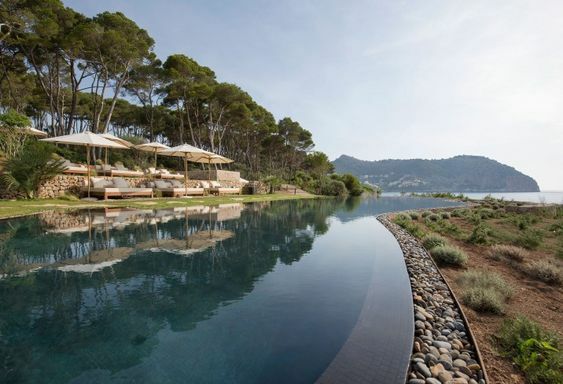 Check out the hotel’s sister properties Can Simoneta, Font Santa Hotel and Convent de la Missió, where you’ll get direct access to the sea, Michelin-starred restaurant and a stellar spa, respectively.